Lamplighters International is a Christian ministry that provides the church of Jesus Christ with Christ-centered, Bible-based discipleship materials and training. The ministry consists of discipleship Bible studies, leadership training materials, and other ministry resources. 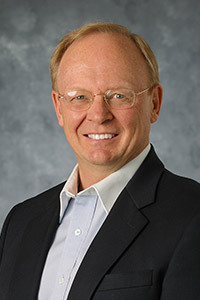 John is the president of the Discipleship Training Institute and executive director of Lamplighters International, Inc. After graduating from Central Baptist Theological Seminary, John served as a pastor, planting two Bible-believing churches and starting Lamplighters International – a ministry dedicated to equipping God’s people to fulfill the Great Commission. John is the author of the Lamplighters’ Bible Study series and the intentional discipleship model of discipleship training. John continues to write and lead discipleship conferences for pastors and churches. Joline earned her Master in Music Education with an emphasis on leadership training and character development. 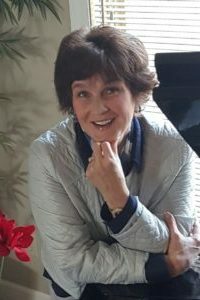 Joline is a Certified Trainer(L1) and serves as Director of Women's Ministries where she utilizes her strong educational training background to develop new discipleship training resources and her ability as a gifted communicator to train women for ministry. John graduated in mechanical engineering from the University of Minnesota and spent 10 years at 3M before leading R. M. Cotton Company for 30 years. 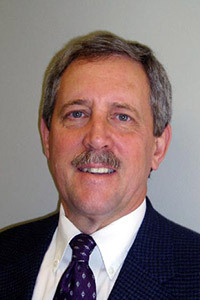 John has been instrumental in the development of the ministry and presently serves the Lord and the Lamplighters International in the area of financial administration. He currently leads two Bible studies. Rick (Moe) serves in a volunteer staff position as Director of Special Projects. Rick has a B.A. degree in business administration from Gustavus Adolphus College (MN) and is currently Principal Consultant/CEO at Woodland Human Capital Consultants, a management, organization and compensation consulting group located in Wayzata, Minnesota. 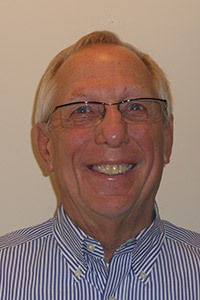 Rick’s responsibilities include overseeing and developing leadership training materials and human resource consulting. Roque Albuquerque (M. Div., Th. M., Ph. D.) has served as senior pastor of Zion Baptist Church in Northeast Brazil since 2002 and as professor of Greek and NT exegesis in Cariri Baptist Seminary since 1997. 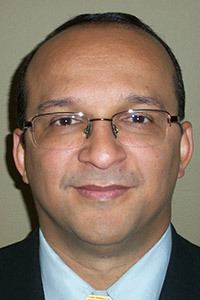 As a senior pastor, Roque has planted four churches and has been engaged in missionary work throughout Brazil. He also serves as Lamplighters' Director of South American Ministries where he oversees the ministry and equips pastors and churches to be intentional about training believers for disciple-making ministry. Austin graduated in marketing from the University of Northwestern St. Paul in May of 2016. Austin is involved with strategic ministry expansion and maintains all our social media sites and digital marketing projects. We believe that the Bible, sixty-six books in the Old and New Testaments, is without error in its original writing (2 Tim. 3:16), its author was God (2 Peter 1:19-21), being thereby verbally and plenarily inspired (Matt. 5:18). We believe the Genesis account of creation should be understood literally; that is twenty-four hour days; that all animal and vegetable life was made directly by God and that man was created in God’s own image and did not evolve (Gen. 1:1-26). We believe there is one living and true God who exists in three Persons; the Father is God (1 Cor. 8:6), the Son is God (John 1:1, 14; Heb.1:8-10), and the Holy Spirit is God (Acts 5:3-4). We believe Lord Jesus Christ was born of a virgin (Isa.7:14; Matt.1:18-25; Luke 1:26-38), lived a sinless life (2 Cor. 5:21), rose bodily from the dead (1 Cor. 15:20), and ascended to God the Father to rule as the KING OF KINGS and LORD OF LORDS (Ro. 1:4; Rev. 19:16). We believe man, although originally created without sin (Gen. 1:27, 31), by one transgression fell (Gen. 3:6, 7; Ro. 5:12, 19.) so that all mankind are now sinners and justly under condemnation (Eph. 2:2, Ro. 3:9-18, 23). We believe salvation is available to mankind through the finished work of Jesus Christ who died on the cross and shed His blood for the remission of sins (Ro. 3:25; Heb. 9:22). Salvation for sinners is by grace alone through faith alone and is available to all who genuinely call upon the Lord Jesus Christ (John 3:16; Ro.10:13; Eph. 2:8). All true believers are eternally secure (John 10:27-29; Ro. 8:38-39). We believe the believer is sanctified positionally at the time of salvation by the completed work of Jesus Christ (John 19:30; 1 Cor. 1:2); sanctified progressively by the continuing work of Jesus Christ through the Spirit and the Word (Ro. 7:24- 8:13; John 17:17), and will be completely sanctified only at the time of glorification (Col. 3:4; 1 John 3:1, 2). We believe the Holy Spirit permanently indwells all believers at the time of salvation and places them into the body of Christ (1 Cor.12:13). The Holy Spirit convicts the lost of their need for salvation (John 16:7-11) and assures believers that they are children of God (Ro. 8:16; Eph. 1:13). We believe the blessed hope of the believer is the imminent, personal, premillennial appearance of Jesus Christ (1 Thess. 4:13-18, 5:9; Rev. 6:17). The lost will face eternal punishment (John 5:28-29; Rev. 20: 11-15) and the saved will enter into the eternal presence of the Lord (1 Thess. 4:17).